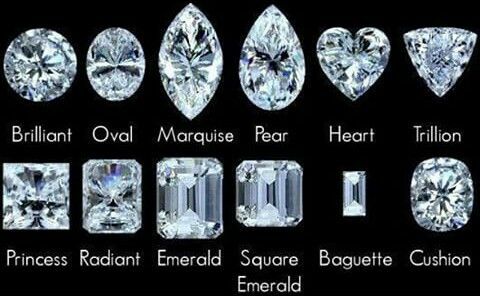 These are some of the most common, and most used types of cuts for gemstones and diamond. Most Coloured gemstones today are cut in Thailand, Sri Lanka, India, Brazil and Colombia. This is because of low labour costs, historic gemstone deposits and high skill levels of the tradespeople in these areas (mostly low labor costs for mass production material, lets be honest). Most of the small Diamonds of the world are cut in India and this is for the same reason. Different Nationalities tend to specialize in particular cutting styles. It is therefore possible to discern where a stone was cut because of the style and quality of its’ cutting. For example, South american cutter tend to be very good a baguette, emerald and rectangular cuts. While Sri Lankans are famous for their Cushions and ovals. This is also because of the gem material they are accustomed to working with. South Americans with Emeralds, Aqua and tourmaline, While Sri Lankans mainly with Sapphire and other corundum.